The latest Books & Goodies is here! "Pipsie Nature Detective: The Disappearing Caterpillar" is the perfect read for spring! Written by Rick DeDonato and illustrated by my friend, the wonderful Tracy Bishop. I've rounded up a bunch of fun crafts and goodies I think Pipsie would approve of! BONUS: Pipsie and her turtle sidekick, Alfred, have a great site filled with fun activities and free printables! Check it out here. So fun. Get your copy of "Pipsie Nature Detective: The Disappearing Caterpillar" here! And you can always check out more “Books & Goodies” posts here. Its time for Books & Goodies--my latest favorite picture book + a round up of coordinating goodies--ie activities, crafts and toys! "Dragons Love Tacos" by Adam Rubin, and illustrated by Daniel Salmieri, is one of our 15 month old's nightly "must reads." Its the riveting true story of a boy named Rowan, and his dog, Luna, who fight valiantly against spicy salsa to save their Dragon Taco Party. Or at least that's how it goes at our house. But for real guys: Dragons! Tacos! Boys! Dogs! Hats! --A shovel! Our kid could not ask for anything more. Dragon Pinata from here. Or DIY here. Fire breathing Dragon toy here. Or really cute DIY instructions here. Cookie Tacos?! (--actually part of a whole Dragons Love Tacos Cake!) from here. What's a Taco Party without taco balloons? Here. Handmade Wooden Dragon Teether here. Not pictured, but Taco Party recipes here! You're welcome. Check out more “Books & Goodies” posts here. http://youtu.be/zD2NtzEPBcA This short film, (which is actually an advertisement for a telecommunications company,) of two women flying for the first time is wonderful. Don't you want to be friends with them? Someone get them their own reality show asap! 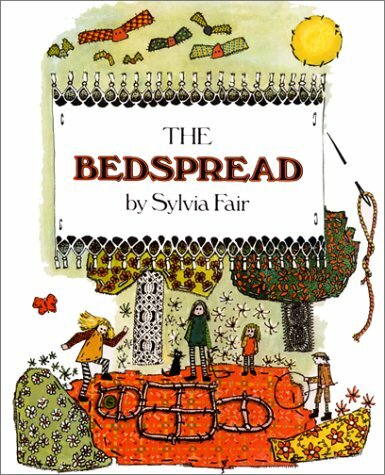 Did you ever read the picture book "The Bedspread" by Sylvia Fair? It was one of my favorites growing up. Its about two elderly sisters who live in a huge house, in either end of a long bed, and decide to embroider their bedspread. Its magical. These women remind me of them. Click here to watch the whole video. Believe the hype. This book is brilliant. Erskine's absolute mastery of the first person account from a kid with severe aspbergers is stunning and enlightening. Anyone out there have some recommendations for me? 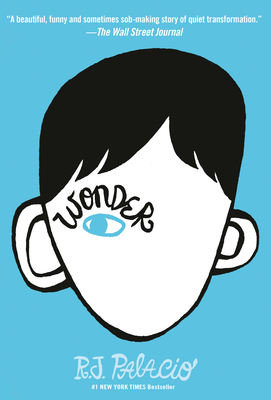 What are your favorite current middle grade novels? The Next Big Thing Blog Tour! A mix of childhood memories, the inspiring Olympic swimmer, Cullen Jones, and childhood memories of conquering the diving board. It's a 32 page picture book. Ooh.. Hmmm. Well, a three year old version of Sayeed Shahidi would be an awesome Jabari. And the lovely Taye Diggs would be a great Dad. I guess the younger sister would be some rising-star-baby actor. Jumping off the diving board is easy for a Big Kid like Jabari...right? Who indeed? Its been reviewed and critiqued by art directors and agents, and I'm now sending it around! 7) How long did it take you to create the illustrations? Well.... There were lots of different versions of this story, (and three completed dummies!?) so its not quite accurate to say four years--right? Right! Probably about four months and I continue to tweak them. Jabari definitely has a dose of Olivia in him. Similar bluster and chutzpah, though in his case perhaps not so much to back it up. And while the text is saying one thing, I aimed to make the illustrations the punch line, so a bit of Children Make Terrible Pets by Peter Brown. Overcoming fear is a major theme similar to Lilly's Big Day, by Kevin Henke. A few years ago I hear about Cullen Jones' organization Make a Splash that teaches kids, parents and communities about the importance of learning how to swim. In the United States the child drowning statistics and the number of people who don't know how to swim are staggering. (After almost drowning at 5 years old, Jones went on to win gold medals in the 2008 and 2012 Olympics.) Since I loved swimming especially as a kid, this really hit home for me. An early version of the book was about Cullen as a child, but it slowly evolved into Jabari's more light hearted, mischievous tale of conquering fears and defining bravery, ie jumping off the diving board. Fun fact, in Swahili "Jabari" means brave or valiant. The sweet relationship Jabari has with his dad is one that often isn't explored in the kid lit world and is sure to tug on heart strings. I Am Small, by Gina Perry. I've read the dummy and it is brilliant! So cute, right? She'll be blogging here. 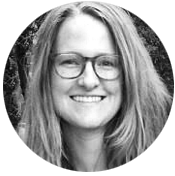 A YA historical novel, Drawing from Life (working title) by fellow crit-mate Abby Murphy! The heroine struggles to become a professional artist at the turn of the century and is loosely based on Abby's grandmother (!) pictured above. I've been reading chapters as she writes them and it is captivating! And a picture book about a misunderstood "walker" from the writer illustrator duo Megan and Jorge Lacera: But I don't Want To Be a Zombie! Zane is afraid to tell his parents that he just wan't cut out for this whole zombie business. How will they react when they find out that he prefers whole grains to brains? Check it out here! That's it folks! Happy reading! Welcome to the first "Books & Goodies" post! I've been wanting to do this series for a while now. The concept is simple: A fun book + it's corresponding goodies. What better time to start than Halloween, and with a book by LeUyen Pham no less? (She's one of my favorites!) Maybe this will inspire some last minute costume ideas? Happy Halloween! Vampirina Ballerina written by Anne Marie Pace, and illustrated by LeUyen Pham. 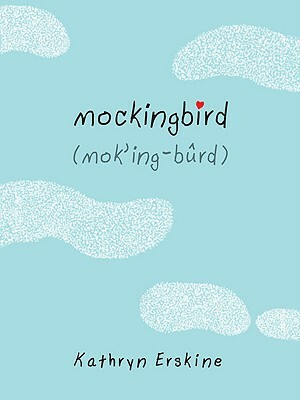 Maurice Sendak 1928-2012: "If it's true, you tell them." I realized today that Maurice Sendak is one of those people I had, somewhere along the line, subconsciously, decided would live forever. Like a crotchety, brilliant, Bilbo Baggins, surely he would outlive me. I've been actively thinking about him a lot lately-- he was referenced several times at this conference I went to a couple weeks ago, our library is having a show of his work, his recent NPR interview, as well as his hilarious stint on the Corbert Report. I was impressed to hear that at 83 he was working on a new book, further solidifying his current role in my life as "long-lasting-career role model." One of the first picture books I remember being obsessed with is Outside Over There. Honestly, as a kid, I really didn't appreciate Where the Wild Things Are, though I loved In the Night Kitchen. But I pored over Outside Over There. The story was fascinating and scary: A kidnapping and a baby made of ice! Would I be as brave as Ida, fighting goblins, to save my little sister? (Though I was pretty sure I would have heard the goblins climbing in, even if I was practicing my horn--so negating the need for such a journey. Pretty sure.) Would I ever be able to draw a woman so beautiful as the mother? (For much of my childhood this was one was of my main goals.) I wished for a long, yellow cloak. Ah perhaps my obsession, as a newly older sister, now makes sense. Little Bear was another favorite. He was silly (--You're not really on the moon, Little Bear!) but relatable, and I had a friend named Emily too. Years later while attending Pratt, Sendak was interviewed as part of a lecture series. I didn't know what to expect-- I hadn't heard him speak before. I was thrown at first, but then loved his lack of charm and artifice. His quick witt. At the time his "Wild Things" were plastered all over the city as part of an ad campaign for Verizon. I remember someone challenging him on that, and I sort of loved his honest response. There was a lot next to his house in Brooklyn that he wanted to buy. The deal enabled him to do so. With a mischevious look, he added that getting paid to compare a large communication company to hulking monsters, was a bonus. To be dramatic in a way that would probably amuse him, I'll end with saying that the path I've chosen is due in no small part to Mr. Sendak and his books. "I'm in the milk. And the milk's in me." Today Theodor Seuss Geisel would be 108 years old! He first used the pen name 'Seuss' while at Dartmouth. The story goes he was caught drinking with friends in a dorm, and as punishment, was banned from extracurricular activities including writing for the college's humor magazine. So he wrote using his middle name--Seuss. One of my favorite animated shorts, Oscar-winning Gerald McBoing-Boing, was based on his short story that originally appeared on a children's record in 1950. His first children's book, And to Think That I Saw It on Mulberry Street! , was rejected 27 times. The Cat in the Hat was published when we was 53. Did you have a favorite Dr. Seuss book growing up? It's hard to choose, but I think mine was Green Eggs and Ham. That Sam was just so annoying. "I do not like them, Sam-I-am!" Have you guys read "The Happiness Project", by Gretchen Rubin? (No, I haven't been living under a rock. Yes, it was everywhere for a while. I just never got around to reading it. And honestly, I didn't think it would live up to the hype.) What did you think? In the past year, or so, I've found myself randomly researching happiness and learning more about it. 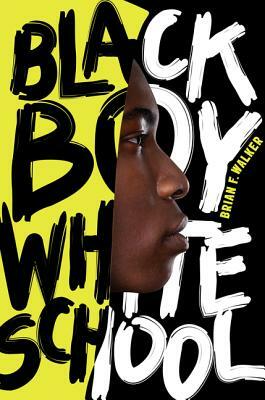 I find the topic fascinating and I think this would have been a great book to start with. I've been nodding and taking notes (--seriously, notes.) I'm tempted to buy used copies and hand them out to everyone I know. I say this knowing I tend to get obsessed with books while I'm immersed in them. It will be interesting to see if the glow wears off after I'm done. Or if I'll have a dog-eared copy forever. Curious to hear what other people think of it. Thumbs up?